The Business Unit Turbocharger at MAN Diesel has recently announced that its complete ranges of TCA axial and TCR radial turbochargers are available for both two and four-stroke engines complying with IMO Tier II emissions legislation. Indeed, the Augsburg-based engine and turbocharger specialist stresses, the requirements of IMO Tier II engines were designed into the TCA and TCR turbochargers from the first. Importantly, to eliminate additional work for engine builders, the new, higher performance IMO Tier II turbocharger versions from MAN Diesel retain the same external and connection dimensions as versions for IMO Tier I compliant engines. In this way, no changes are needed to the existing turbocharger mounting arrangement when upgrading an ongoing engine series to IMO Tier II compliance. The major change with the IMO Tier II versions of TCA and TCR turbochargers has been to increase pressure ratios to enable Miller cycles of varying intensity as a means of substantially reducing the formation of oxides of nitrogen (NOx). On four-stroke engines this involves closing the inlet valve early to allow the incoming air to expand and cool and thus eliminate the combustion temperature peaks responsible for the majority of NOx formation. On low-speed, two-stroke engines the same effect is achieved by reduction of compression volume, increased scavenging air pressure and late closing of the exhaust valve, in some cases combined with optimisation of the fuel system. Higher pressure turbocharging ensures that an equivalent amount of air enters the cylinder, thus leaving engine power, torque and response unaffected. For two-stroke engine applications MAN Diesel reports that the necessary increase in pressure ratio is achieved exclusively via minor changes to the internal flow components of the turbochargers. 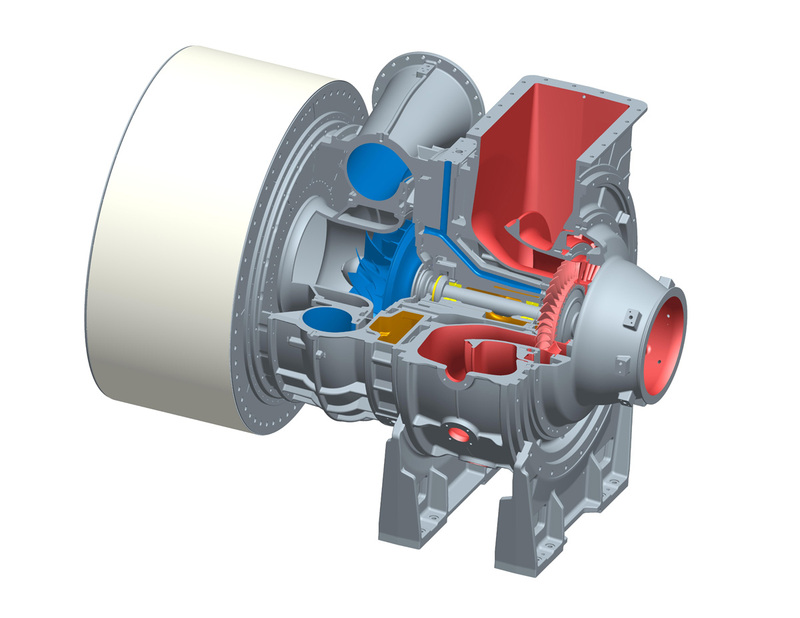 On the four-stroke side, the new high-pressure turbocharger versions feature a revised design of compressor wheel with enhanced performance, as well as a number of further internal revisions.